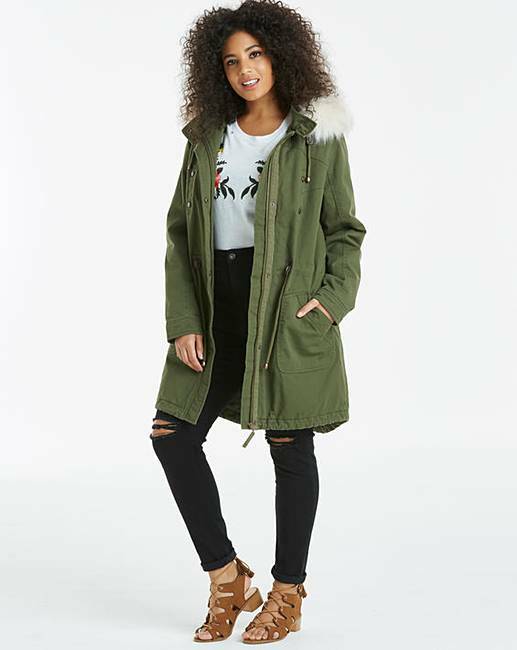 Padded Parka With Faux Fur Trim is rated 4.7 out of 5 by 102. 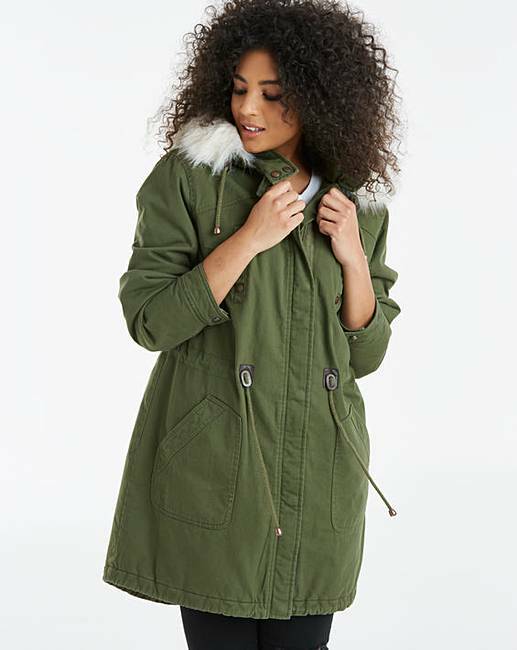 Keep out the chill and get cosy in this faux fur trim cotton parka. This classic coat is lightly padded, with a concealed zip, popper placket fastening and drawcord waist adjusters for a customized fit. 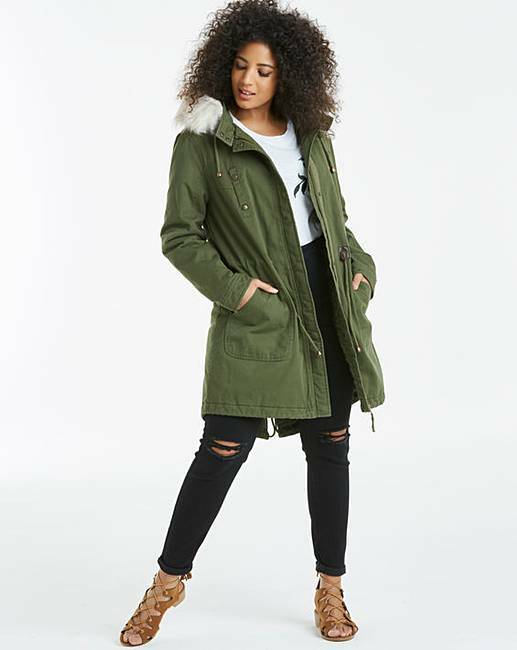 Fully lined, with large pockets and a luxurious faux fur trim to a detachable hood, wear over jeans, t-shirt and boots to complete the look. 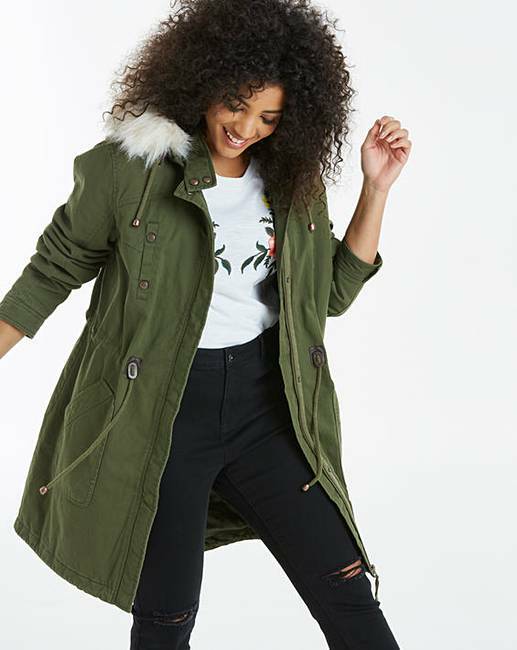 Rated 5 out of 5 by deedee from Love it Love this coat. Nice length to keep you warm , good weight and lovely and cosy. Love the fur trim in hood, really good value. Very pleased. Rated 4 out of 5 by SuziB from Lovely coat Really pleased with this coat, good shape and nice quality. Was in the sale so great value at £30! One thing I will say is that it is NOT really padded, but fine for spring. 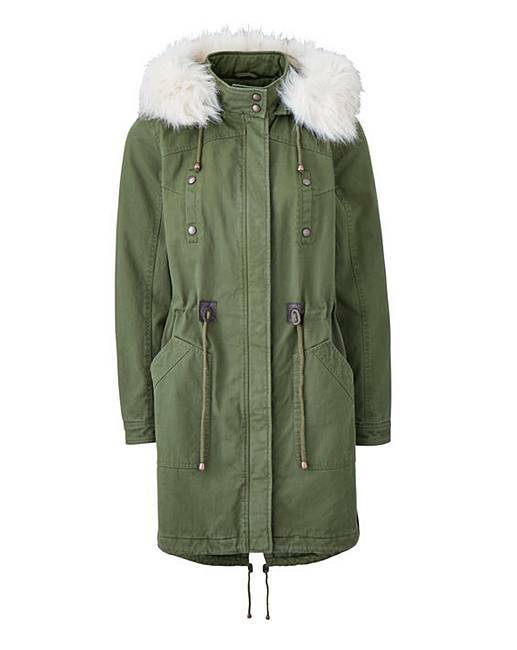 Rated 5 out of 5 by Jellybean from Comfortable and Casual Lovely Parka with a generous fit. Would advise to order to your size.